Fence under construction on the west side of the observatory. 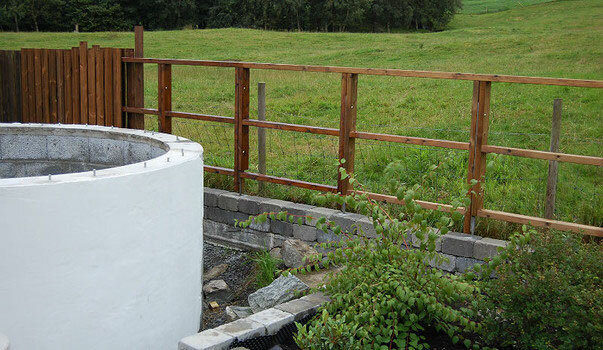 To partially conceal the observatory, and also to prevent the occasional escape of cows and sheep, I am building a wooden fence along the border to the pasture. Because of the fence, there has been a hiatus in observatory construction. Galvanized steel rods welded to flat iron serve as anchors for the wood columns. This is then planked vertically.